The practice of medicine is changing rapidly because of the acceleration in biomedical knowledge, information technology, and delivery system reform. Small academic “ivory towers” are becoming international research centers with associated integrated health systems that operate on regional, national, and international scales. More data and the computational power to make sense of those data are accelerating research and translation into effective diagnostic and therapeutic strategies. And the models for how academic medical centers function are in flux, which I experienced firsthand before joining the U.S. Food and Drug Administration (FDA). Like the FDA, the AAMC and its members share a commitment to protecting and promoting public health and the health of patients within this shifting world. In this era of rapid change, the FDA and the academic medicine community both must be nimble and active partners with those creating change to meet our shared goals. A regulatory approach that made sense yesterday may need rethinking tomorrow. At the FDA, many of us have experience in academic medical centers as administrators, medical students, residents, professors, and researchers. We are cognizant of the effect regulatory changes have on the academic medicine community. That’s why the FDA is committed to working more closely with the AAMC and its members as important progress in this area continues. Today, the FDA works directly with medical schools and teaching hospitals in a variety of ways. We provide grants, cooperative agreements, and contracts to those working on FDA priorities. And we accept fellows from institutions around the world. The FDA has hundreds of memorandums of understanding with academic medical centers to work together on issues in regulatory science. There are also numerous possibilities for enhanced collaboration with the academic medicine community, such as the FDA’s Center for Devices and Radiological Health consulting with the AAMC and its members to develop better ways to collect and optimize near real-time information on how hospitals use medical devices. This input is invaluable and possible only because of a shared commitment to advancing public health. The FDA is also playing important roles in President Obama’s Precision Medicine Initiative and the Cancer Moonshot, both of which draw on the knowledge of the AAMC and its members for their success. To help accomplish the Cancer Moonshot goals, the FDA is creating an Oncology Center of Excellence to bring together leaders from across the FDA, industry, advocacy, and, of course, academia to advance regulatory science and the field of oncology. Similarly, the FDA’s precisionFDA is harnessing the collective intellectual power of researchers as part of a cloud-based community platform for next generation sequencing-based assay evaluation and regulatory science exploration. These are only some of the ways the FDA and the academic medicine community are working together. There are countless other interactions between us. While we share goals, we don’t always agree on the best way to achieve those goals. Tectonic changes in medical technology raise complex questions with no easy answers. For these reasons, strong and open communication remains the best, most reliable way to find the solutions and maintain trust. For example, in 2014, after several years of public dialogue and meetings, the FDA issued draft guidances for FDA oversight of laboratory developed tests. We asked the public to provide input, and many of you in the academic medicine community were helpful and forthcoming in sharing your thoughts. We heard calls to balance speed with safety and, as with all comments, we are carefully considering them to make appropriate adjustments with special attention to tests that may pose more risk to patients. The most important thing is that we continue active conversations about protecting patients, promoting innovation, and improving public health and that we resolve any concerns and differences that may arise along the way. 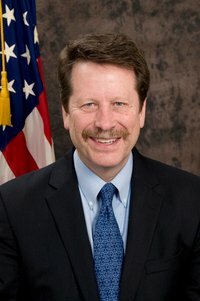 The best way to do this, in my view, is to have effective, on-going associations: for the FDA and leaders from the academic medicine community to continue to meet, to work together, and to invest in areas where the FDA has needs and where academic medical centers offer expertise and real-world experience. It is my personal commitment to continue building these relationships. I have had the privilege of visiting some of your institutions and hope to engage further in meaningful ways to advance our shared goals.